We have saved three of these over the years including this one. 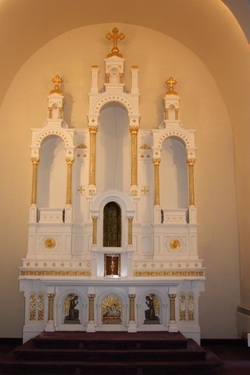 Restored to a church in Lousianna. to catholic church in canada. St Patricks Catholic Church Archbishop Sheens first Parish to Dominican Sisters. Purgatorial Altar to restoration Artist. 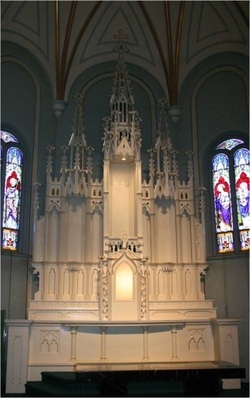 Nice little 150 year old altar saved and returned to church in Chicago. Shows installed below. 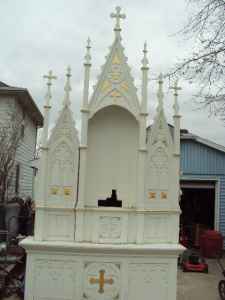 BOSTON MA to KANSAS CITY, MO We disassembled these altars and reinstalled them. 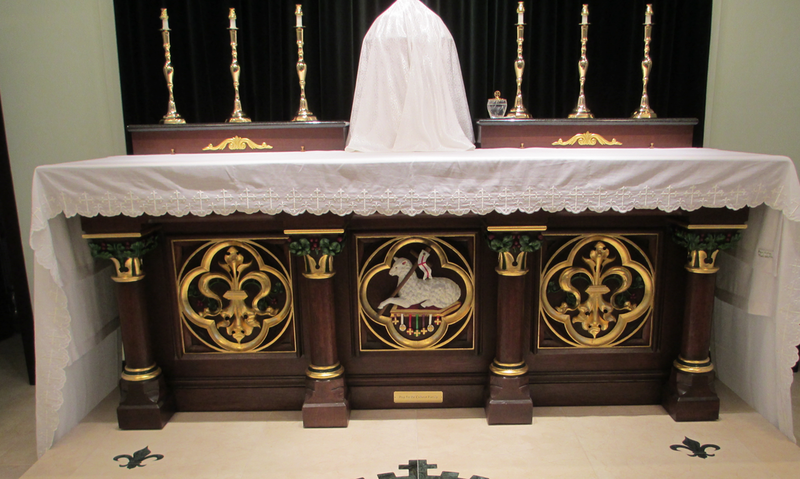 This stunning altar was rescued by Our Sorrowful Mothers Ministry in Vandalia, IL. 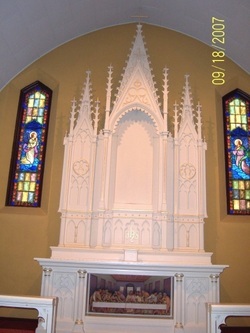 The altar was restored as seen in the photo below. Stunning altars broken down, modified and installed. 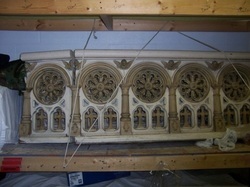 These are plaster altars which required special handling, special removal and reinstallation procedures. 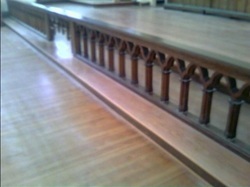 We were hired to build the church wainscotting in the sanctuary, install an antique communion railing and make from straight to dog leg around the sanctuary and make it look like it was built that way, antique railing for the choir loft was refabricated and installed and new bent wood filled in where the antique railing did not work, we took old pew frontals and made a railing around the baptistry along with a gate and we also installed a beautiful vesting cabinet. 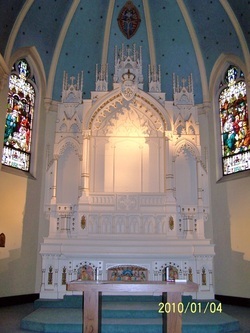 Stunning altar restored to new church in Kentucky. 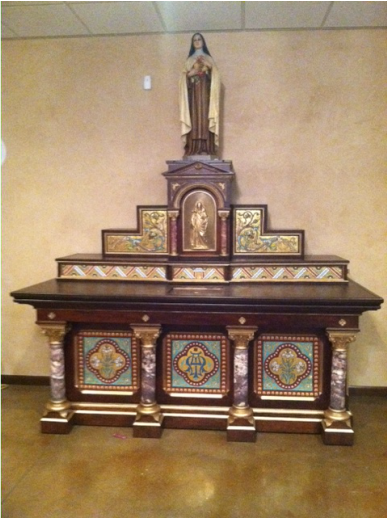 This altar was at a liquidator and was purchased and refitted for use as a high altar for A Catholic Church in OK. This stunning 8ft Marble mary statue was abandoned in a storage unit for 20 years. To be discovered, sold to a church. 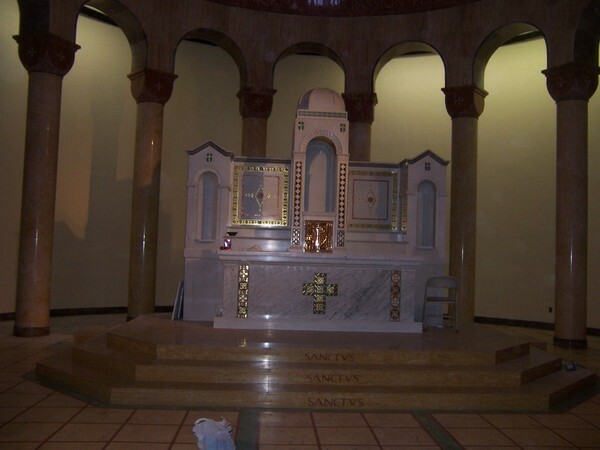 BEAUTIFUL SET OF THREE ALTARS RESCUED FROM NEW YORK CHURCH AND INSTALLED IN A CATHOLIC CHURCH IN MIAMI FLORIDA. Stunning set of altars were abandoned in an old church. These were rescued and are awaiting reinstallation. 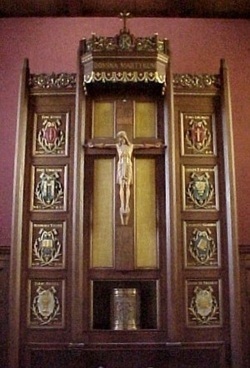 Side Altars from Abandoned church to Priests Private Residence and Jubillee Museum . Plaster altars abandoned and saved. There was a set of beautiful pieces. 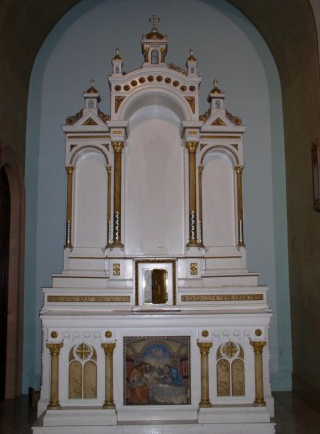 This stunning little altar was discovered in an antique store and returned to a catholic church after it was fully restored. 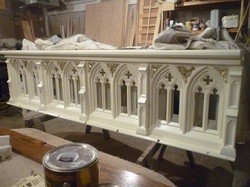 This altar has been saved to wait for installation. 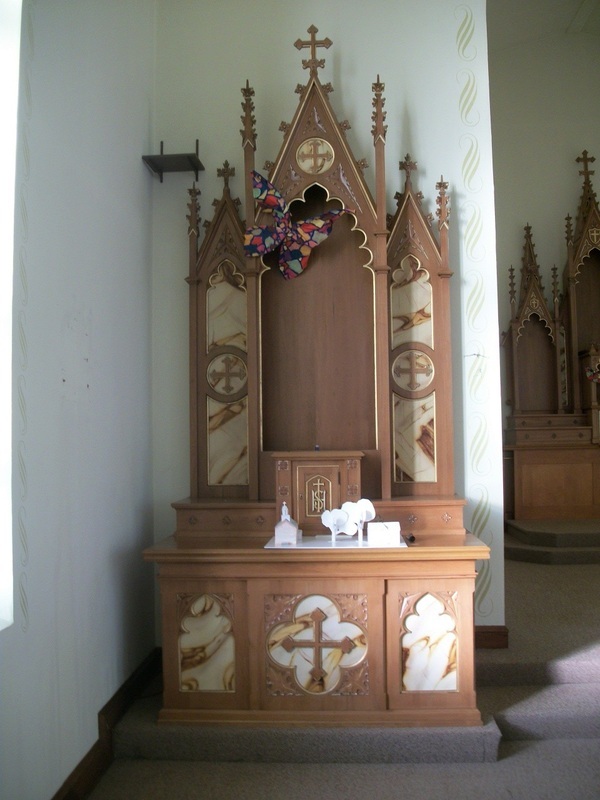 This entire church contents was left behind 30 years ago when the church closed. The entire church was intact. St Joan bought the items and returned all the items to use. 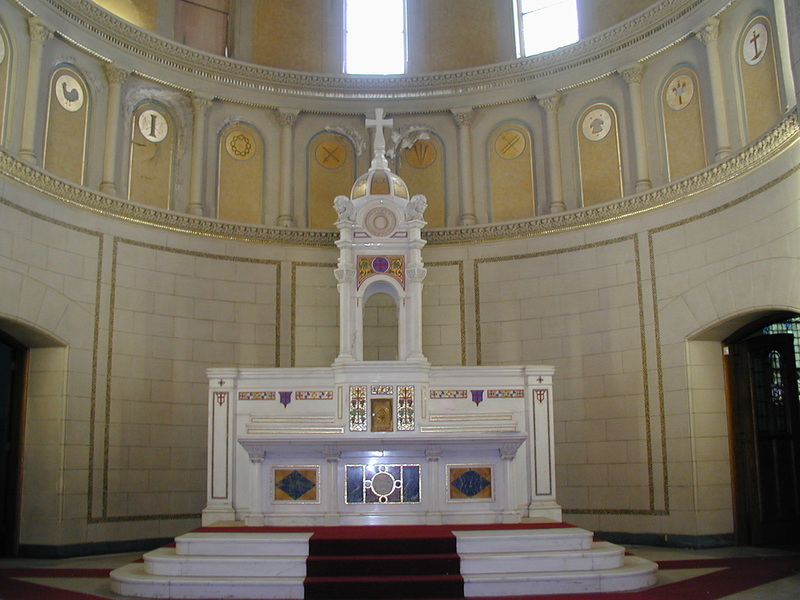 This stunning micro mosaic altar was rescued from a old Catholic hospital destined to be destroyed to make room for the Federal Reserve. 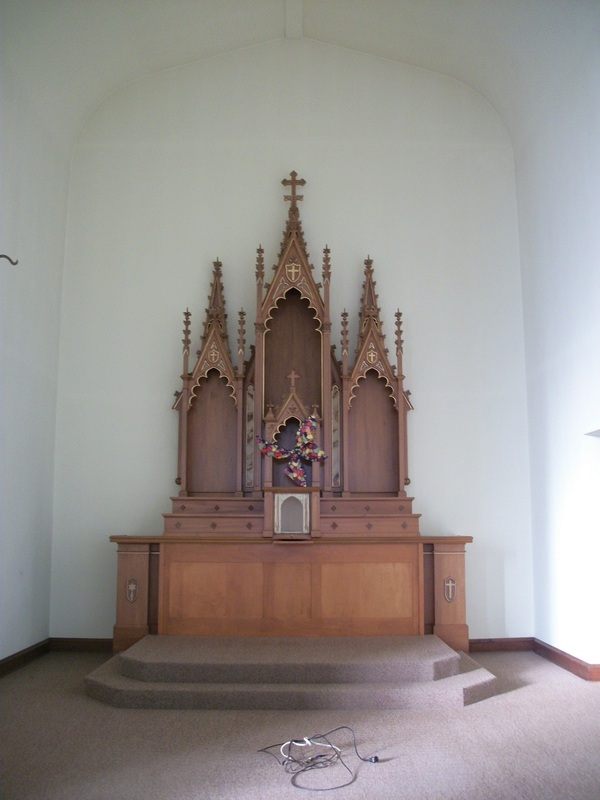 This altar along with two side altars, 22 doors, marble slabs and antique treatments was returned to Catholic use and now has a home. 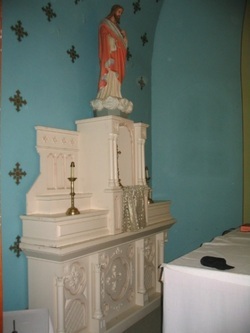 This huge 7ft marble statue of Our Lady of Pompeii was found in antique store after it was abandoned in a old church. The church was demolished. This statue was bought as salvage and remained at the antiques store for some years. 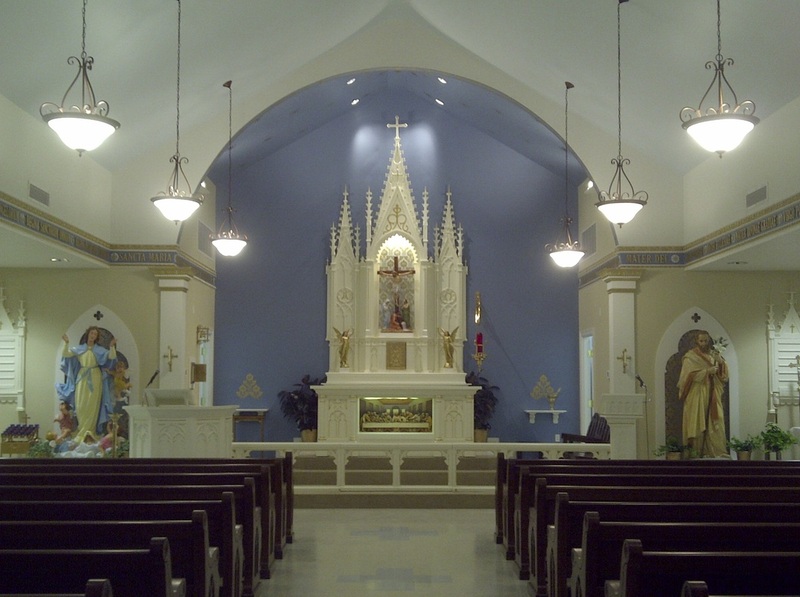 We were able to help it find a new Catholic Home in a New Jersey Catholic Covent. This was one of our first ventures almost 12 years ago. 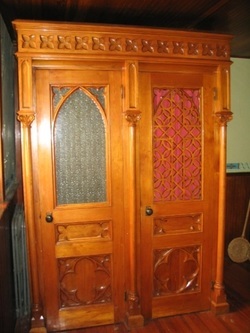 This confessional was used in a bar for many years in Florida. The Bar closed and the items went up for auction. This item was picked up shortly after by a auctioneer who in turn could not sell it at his auction. 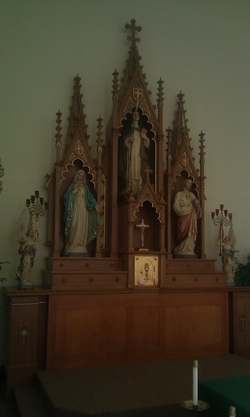 It finally went to a good Catholic Private Resident Chapel who still use it to this day for its proper intention. 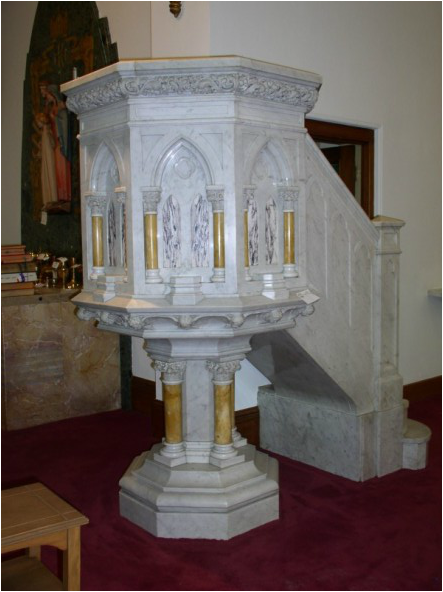 This pulpit was rescued and matched the original pulpit this church. IN the foreground you can see the rescued rail from St. Elizabeth's in New Hampshire that was also rescued from a private owner. 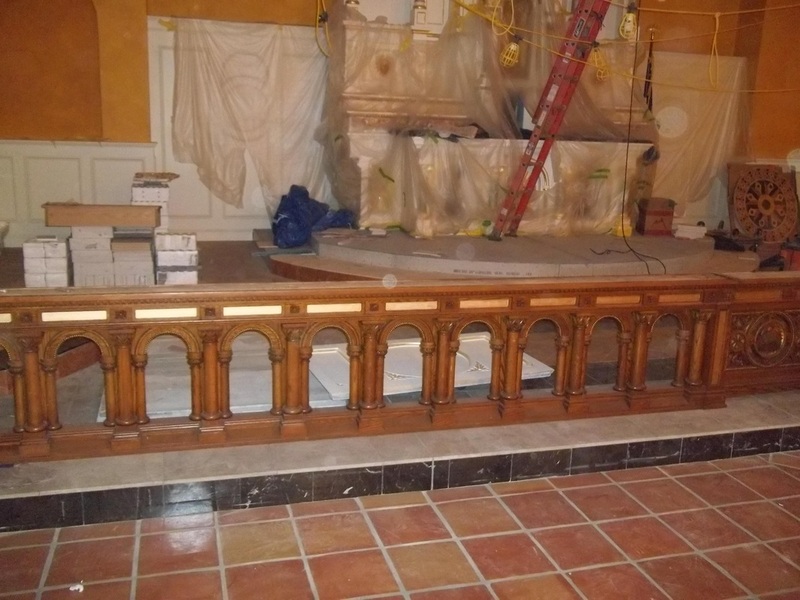 This beautiful set of altars was sent to Ecuador to finish a church that was being constructed there. 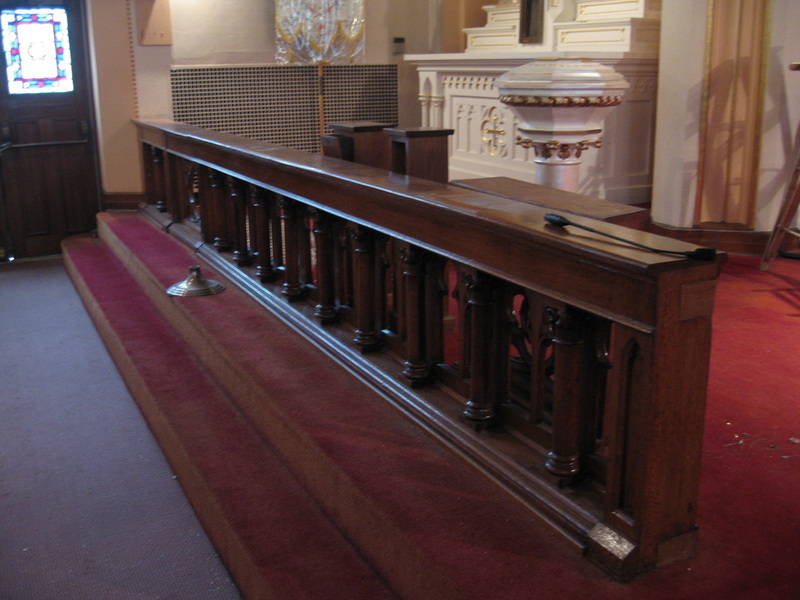 This railing was found in a church basement that sat there for years. 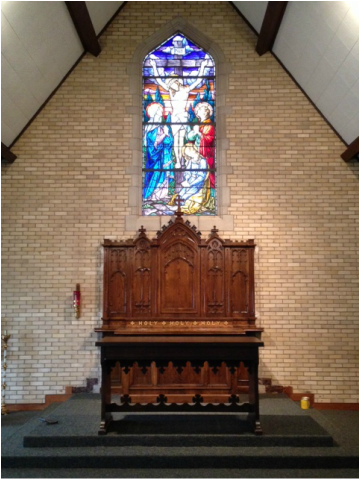 It was returned to service to the Benedictine Sisters in Gower, Mo. 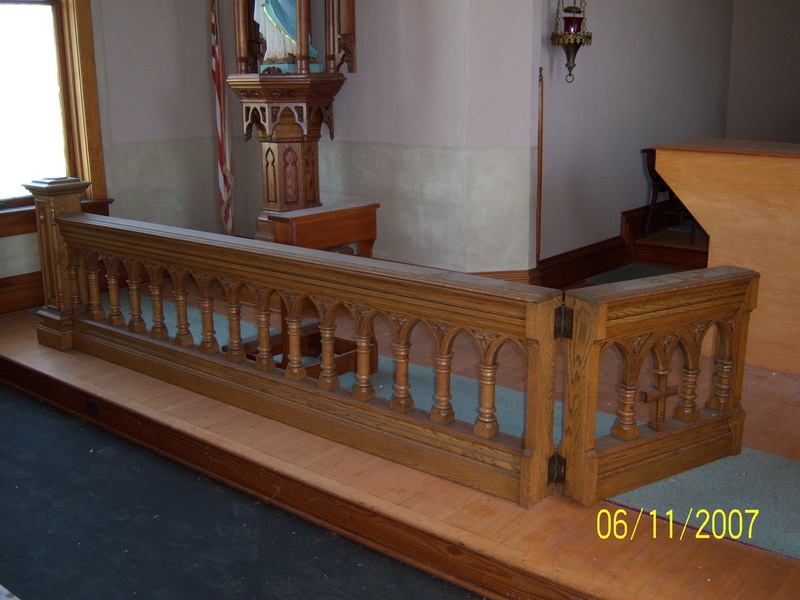 This beautiful Gothic railing was saved after it was abandoned after St Elizabeth's was decommissioned in New Hampshire. 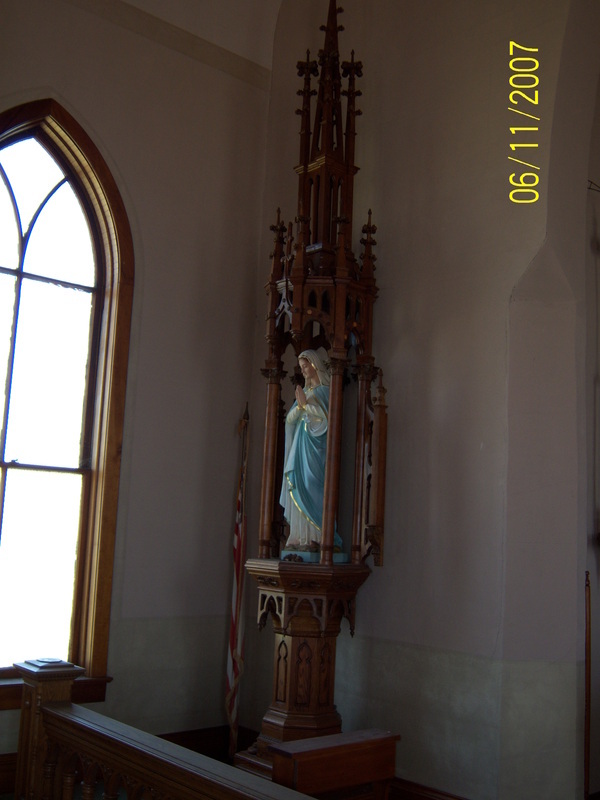 It was rescued and returned to St Mary's Catholic Church in South Dakota. 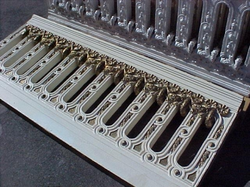 This beautiful railing has quite a story. 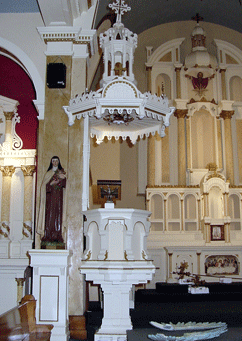 It was originally in a church in 1870s in San Francisco. It was sold to a Chinese Restaurant in Beverly Hills in the 1970s. 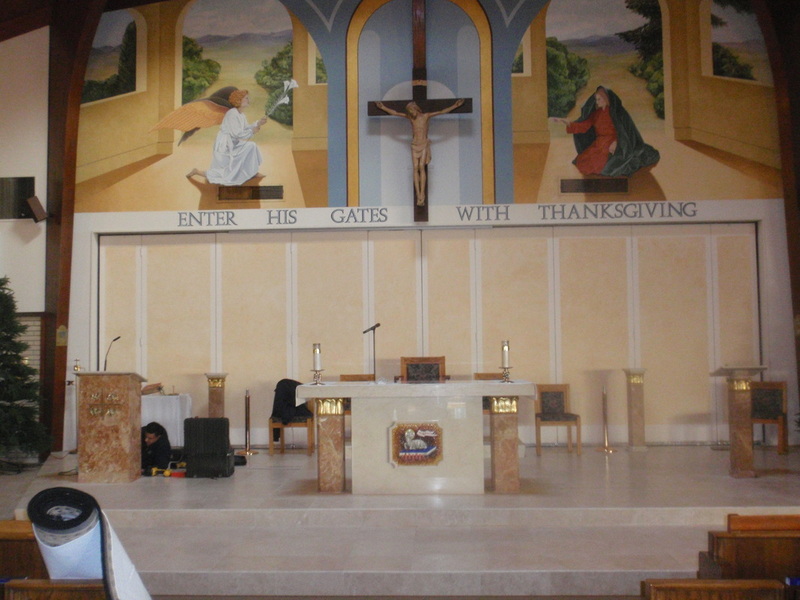 It was then removed in 2003 during a remodel and sold St Holy Rosary Catholic Church where it was restored, refitted and installed by us. See Projects. 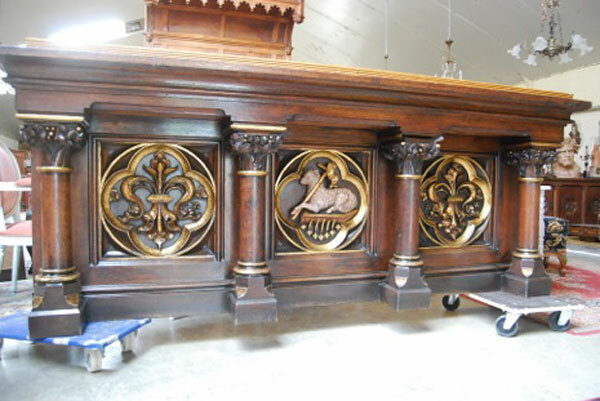 This stunning railing was in storage for 20 years. 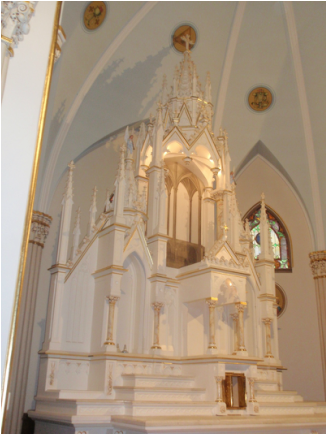 It was purchased 3 years ago and installed in the Shrine of the Infant of Prague in Prague, OK. 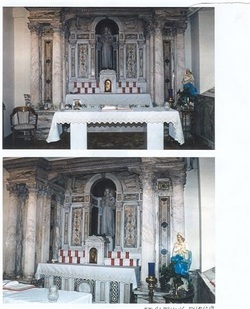 This beautiful set of altars was rescued from an antique store and returned to service in Italy. 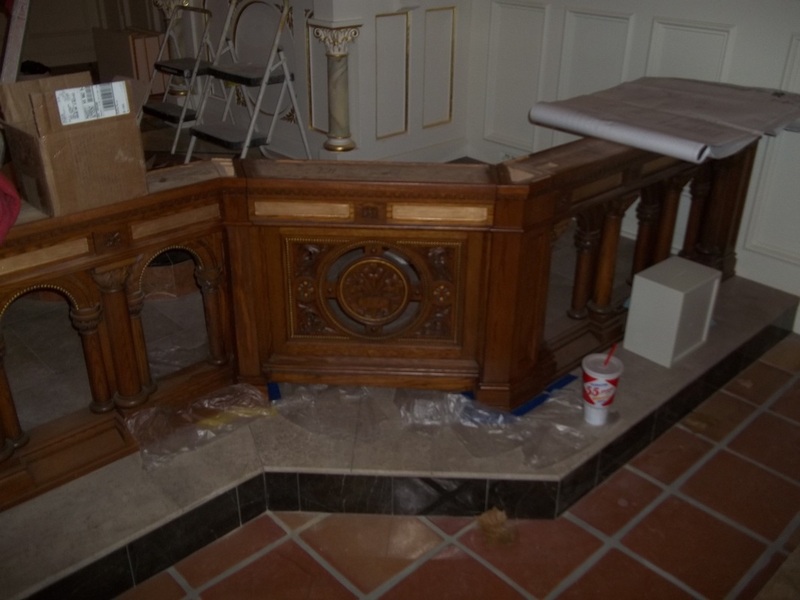 This altar set was disassembled by us and brought to Kansas City to be used in the Latin Mass Community Church of St. Rose. 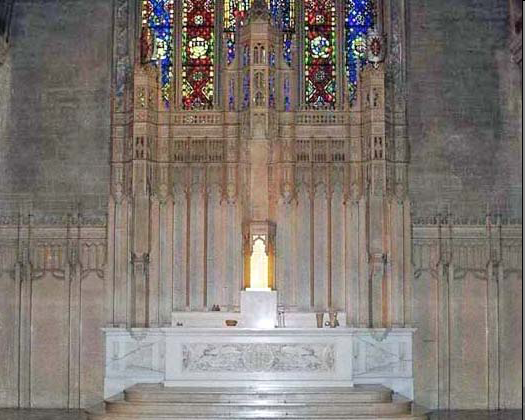 This altar was left over and ran out of options in Chicago, IL. 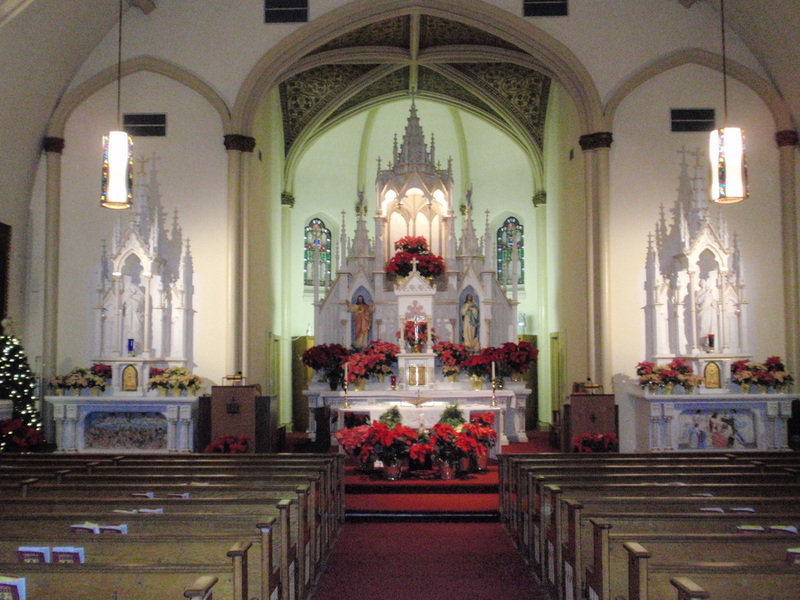 Luckily it was dismantled, reworked and reinstalled by us in Holy Rosary Catholic Church in Indianpolis, In. See. Projects. 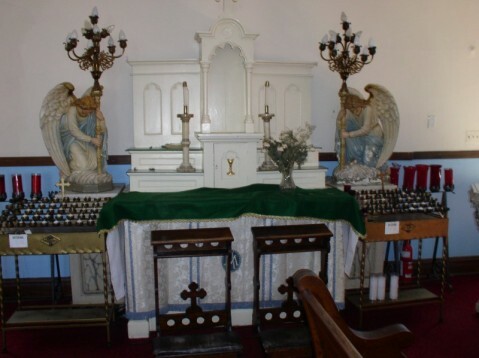 These church artifacts were abandoned in South Dakota and the property sold to a private party. 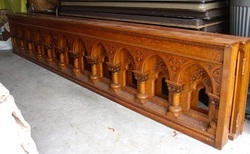 The private party contacted me for disposal of the items and we were able to relocate all of the pieces to St Anthony's Catholic Church in New Jersey where everything was restored. 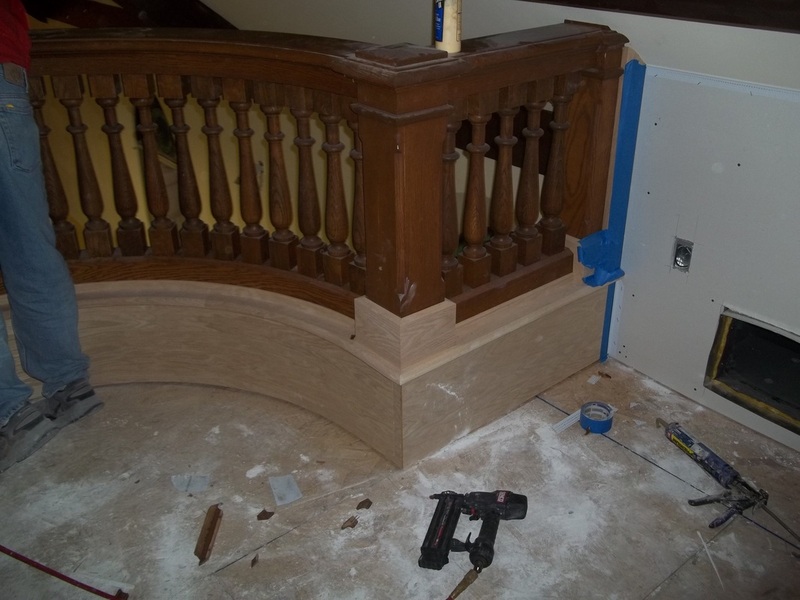 We installed all the pieces and made a railing and sanctuary seating to match. 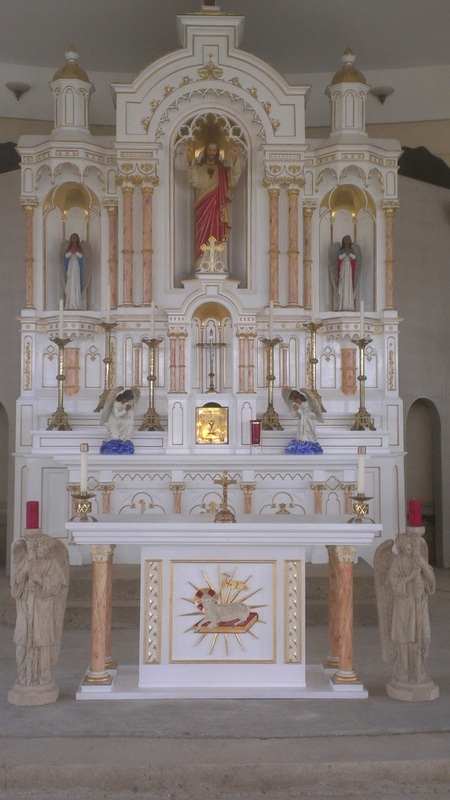 Beautiful Shrine altar was reconstructed in one of the largest churches built in ND in the last few years. 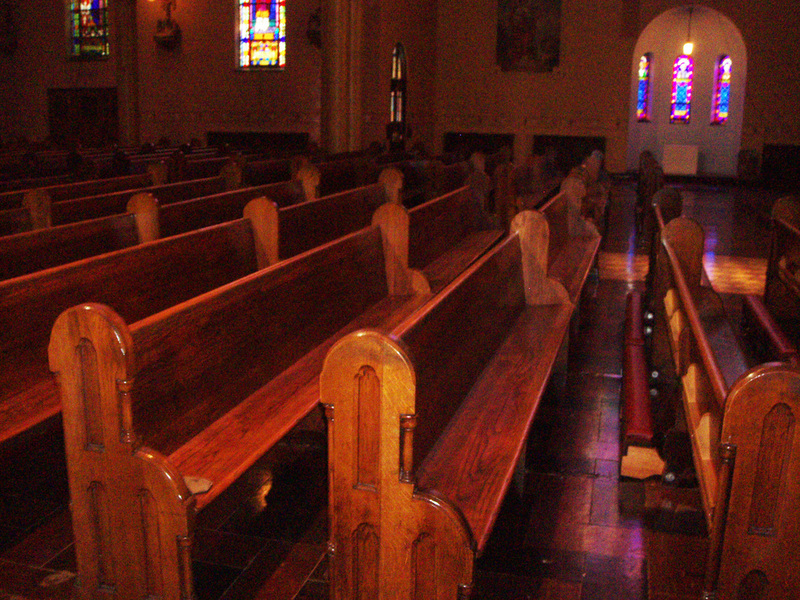 St John was dismantled in the 1960s and left with no statuary, no architectural pieces and only pews and a simple altar. 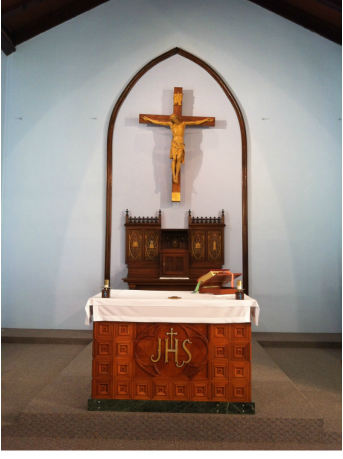 The current pastor bought this altar and hand us install it in his church. It was stunning to be able to bring back the architecture the church needed. 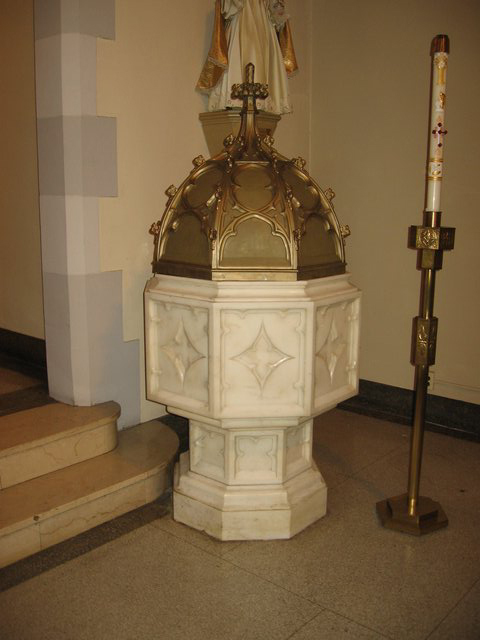 This altar was abandoned. 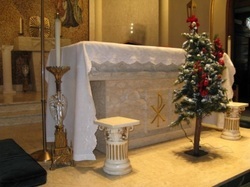 These altars were brought to the Cemetery at the Dominican Sisters in Ann Arbor. They installed them in their cemetery. 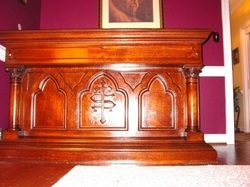 This altar was pulled from an antique store who was going to part it out and sell it in pieces. 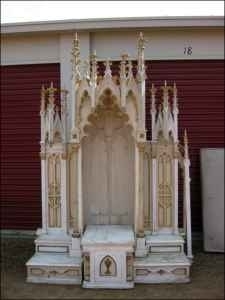 Luckily it was purchased in time and was restored for a Friary in Italy. 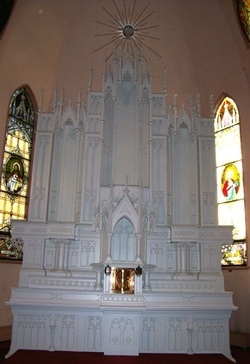 This altar was preserved by the Jubilee Museum in Ohio. Thank you to Fr. Lutz for preserving this history. 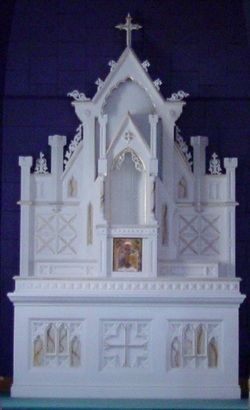 Fransician Friars purchased this altar and restored in for their Friary in Italy. 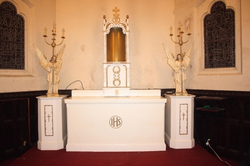 This beautiful little marble altar was dismantled and preserved after it was abandoned in the church for which it sat. 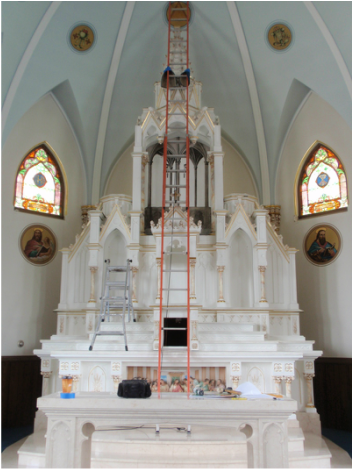 The new owners wanted to preserve the church legacy and we were able to find a good home for it at the Shrine of the Infant of Prague. 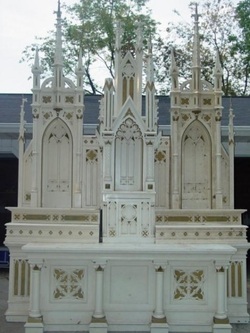 This altar set, a set of three, was sold to a church in Nebraska that was building new. 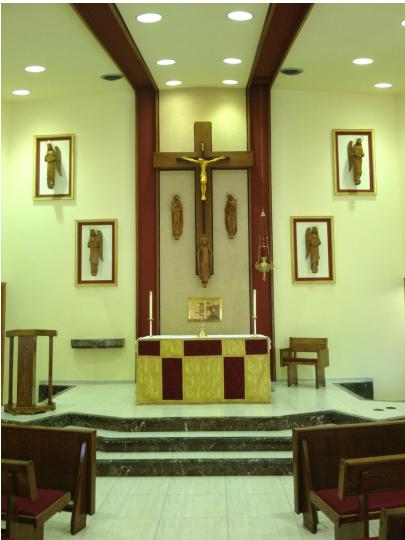 While the altars will no longer be used in their current configuration at least the heritage of the pieces will live on in a new Catholic Church. 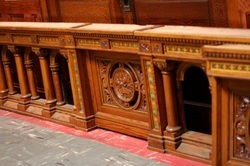 Altar was dismantled along with a matching pulpit, hymnal boards and other pieces. 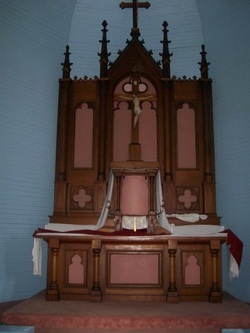 The altar was modified to accept a tabernacle and was sent to a church in Hackberry LA to be used for worship there. 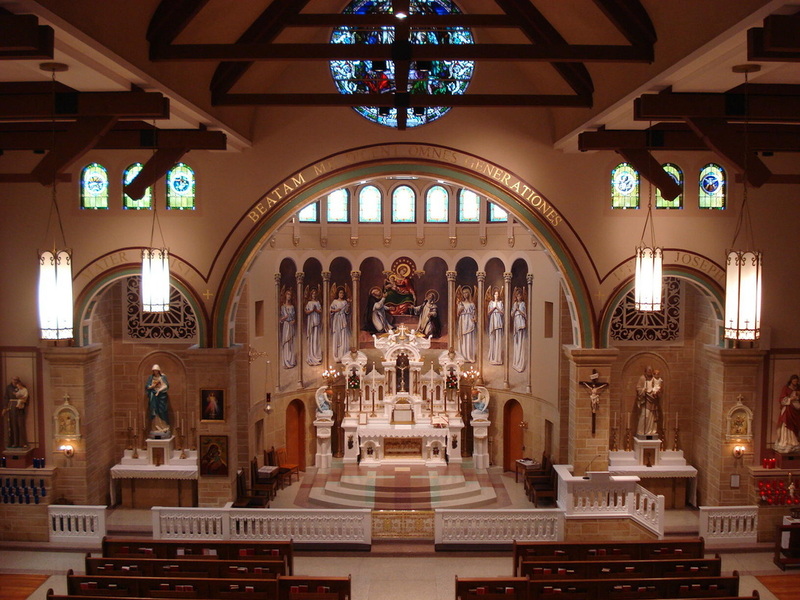 The church was rebuilt after Katrina. 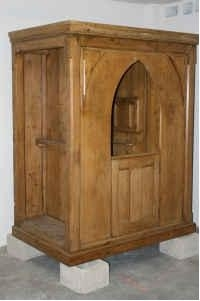 This beautiful little altar was sent to a new parish being built in Miami Florida named after St Bernadette. 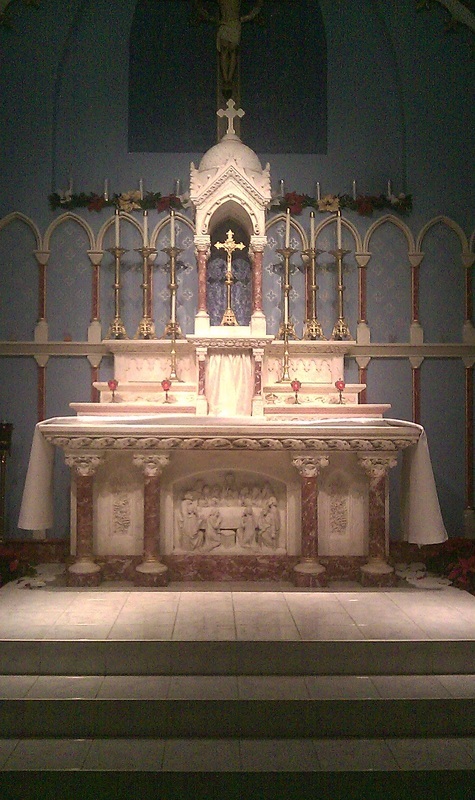 This beautiful little altar was originally in St Joseph's Convent in Brooklyn, NY. 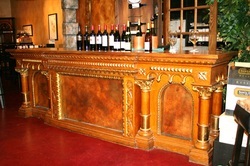 It was sold through a series of antique collectors and in that time converted to a bar and used as such for a long time. When it came up for sale again, Fynders Keepers Brokerage and the current owners wished it could go back to another church for which it finally did. 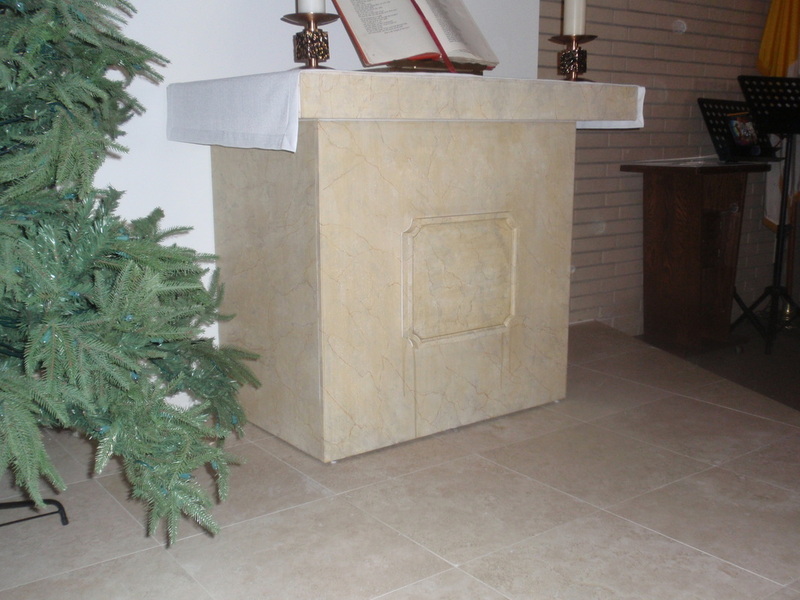 This altar replaced a very inexpensive altar. 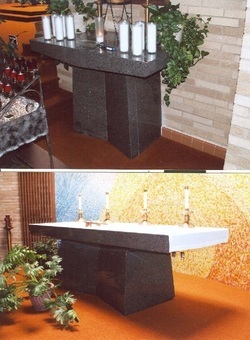 We also constructed two matching side altars to match. 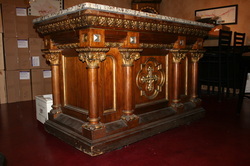 This altar was returned to use after years and years of coming over from Europe, sitting in storage. Through the years it lost some pieces. 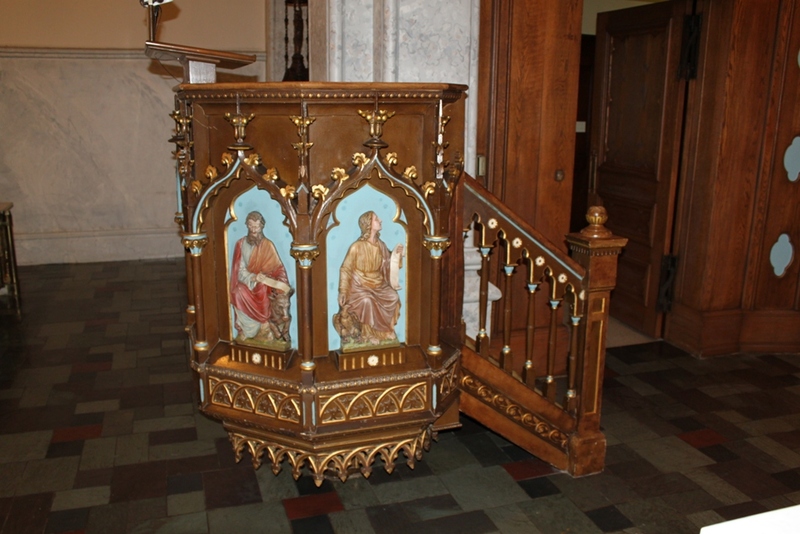 The Latin Mass Community in Chicago, IL asked us to reconfigure the altar back to its original condition and install it in Crypt for Latin Mass use in Chicago. 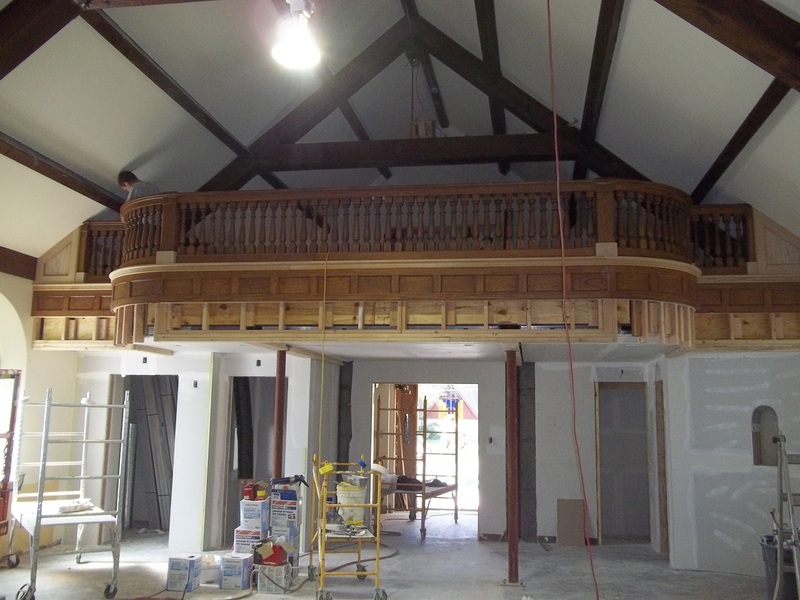 See its reconfigure on Projects. 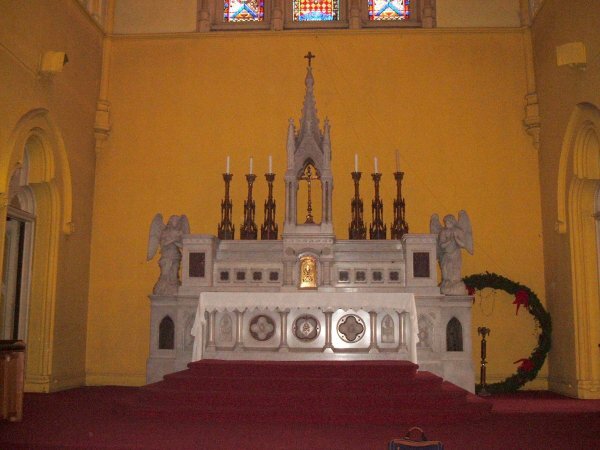 This beautiful altar was abandoned for about 30 years in Seattle Church that was falling down. 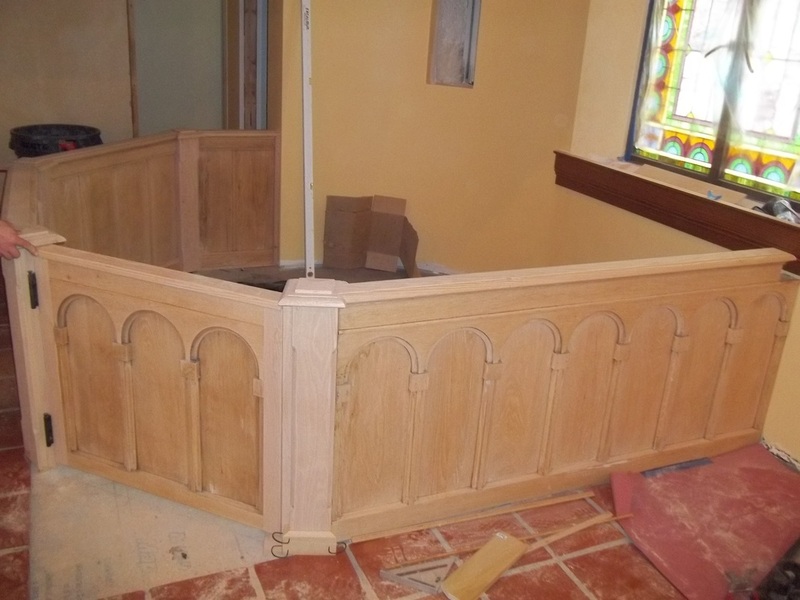 This altar was rescued and reassembled in the Historical Church at the complex of Highlands Ranch. This railing sat in storage for the last 40 years. 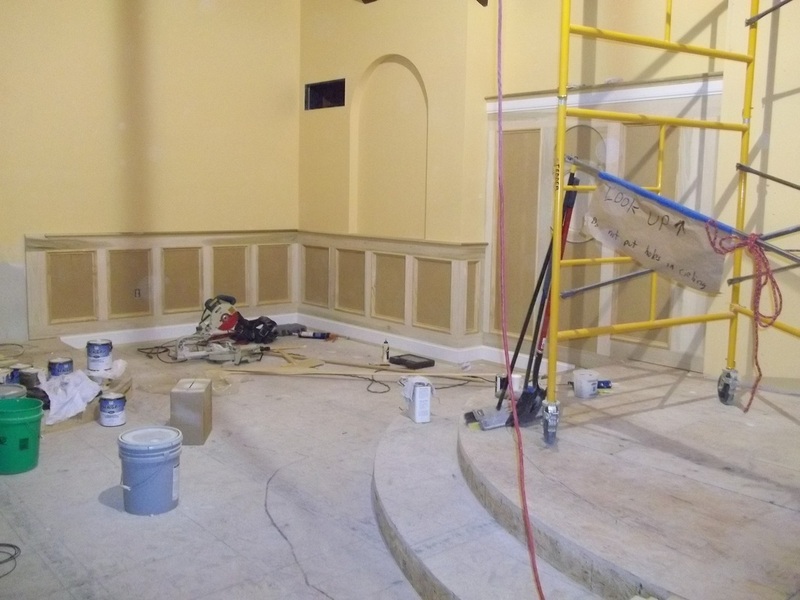 It was finally returned to service when Our Sorrowful Mothers Ministries in Vandalia, IL needed an altar rail. We restored it and gold leafed it. 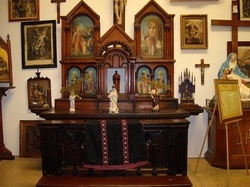 This altar was in storage for 40 years in a barn in Minnesota. 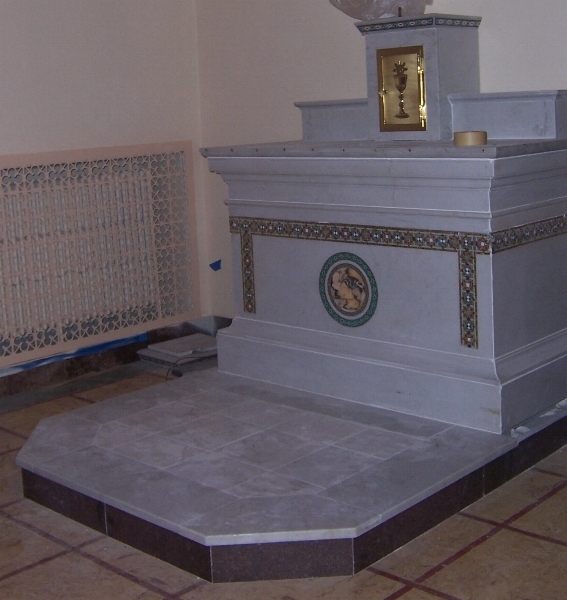 It was purchased in 2012 to be restored and used in a Italian Friary. New York, North American Martyrs Shrine to Church in New York. 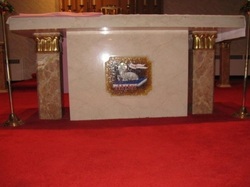 This altar was purchased from the North American Martyrs Shrine Minor Seminary. 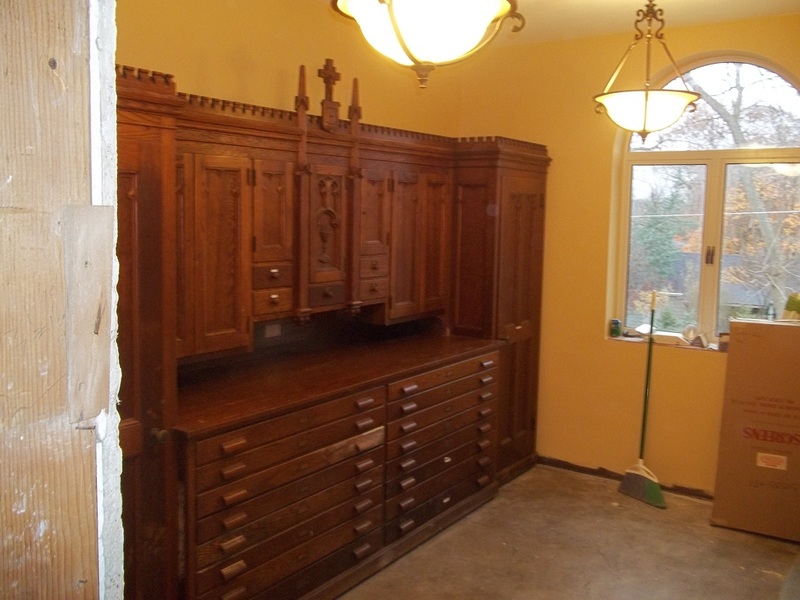 It currently is in storage and waiting a new home. 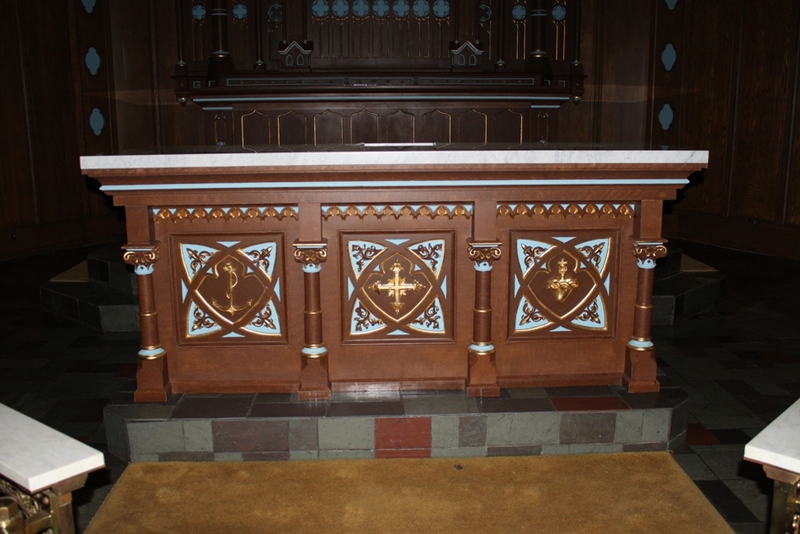 This beautiful altar set of three was dismantled by us and was eventually reinstalled in the reconfigured sanctuary of St Mary's in Illinois. 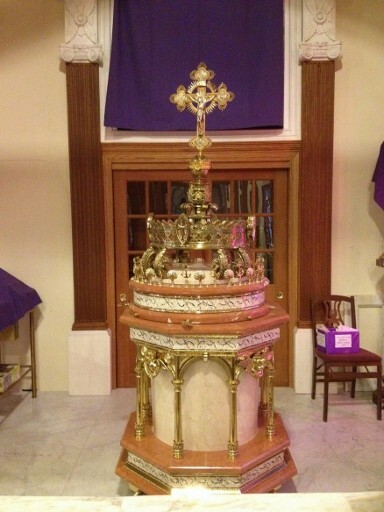 This beautiful altar was in storage for many years and then returned to use this year 2012. 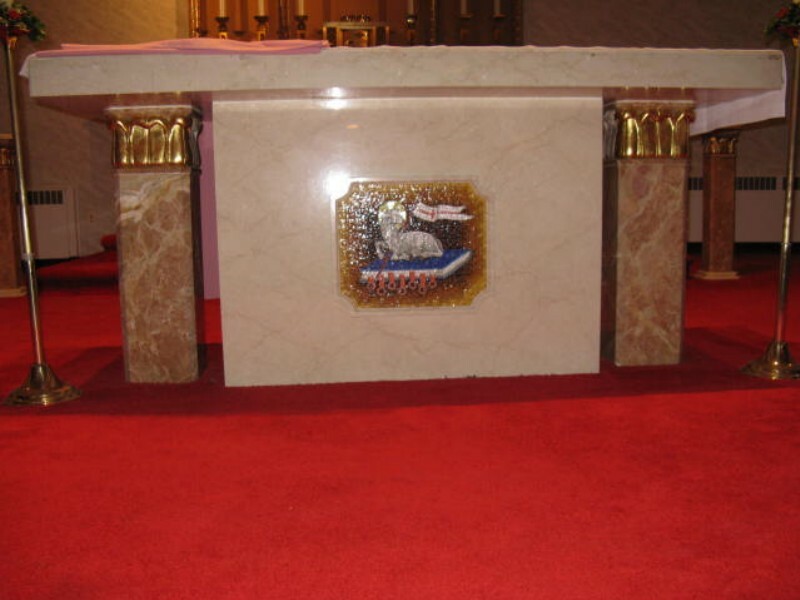 It will be used for the Latin Mass Community. 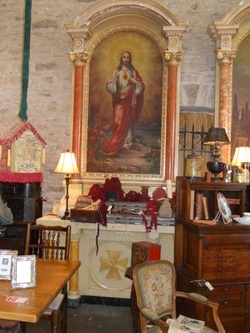 This beautiful 1850s European French Altar was used as a cash register stand in a California Interior Design Studio. It was purchased by Fr. Lutz at the Jubilee Museum to be rescued. 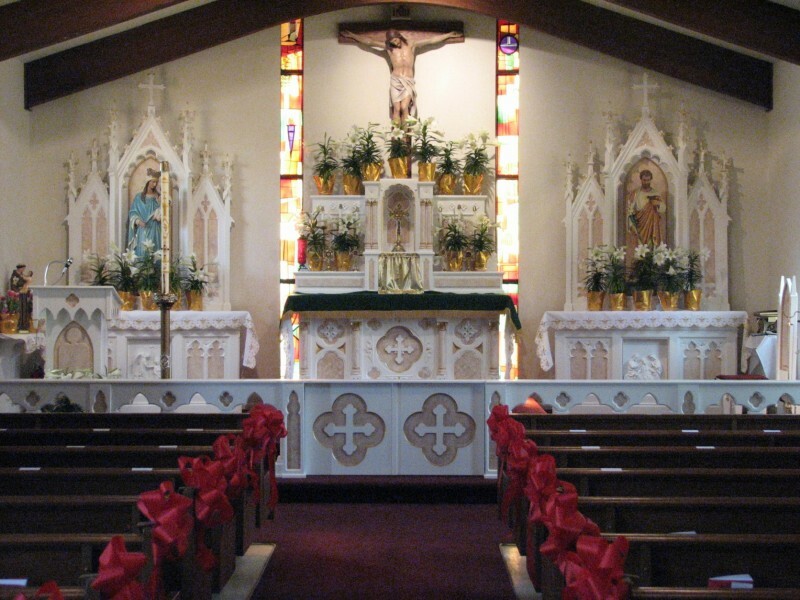 Its been out of the church for more than 60 years. 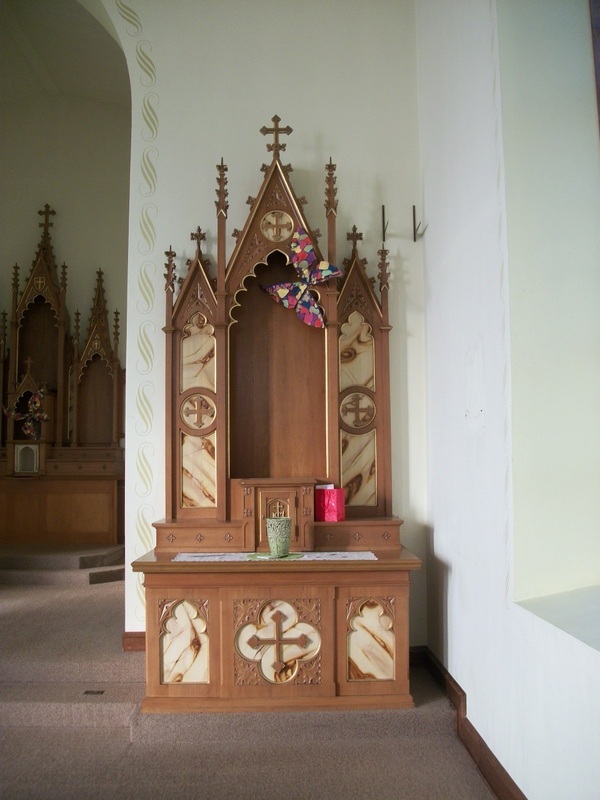 This beautiful altar has remained at a farm in Iowas for many years. It was finally returned to active duty at an Italian Friary in 2012.